Window managers are arguably the most important program on your computer, yet they are widely unthought of by end-users. This is most likely because operating systems like Windows and OSX don’t give you the freedom to switch, but in Linux: its an entirely different playing field. Although you can be very happy with the window manager that comes out of the box (for many its Unity, KDE, GNOME), there are also a myriad of highly-custimizeable alternative window mangers. 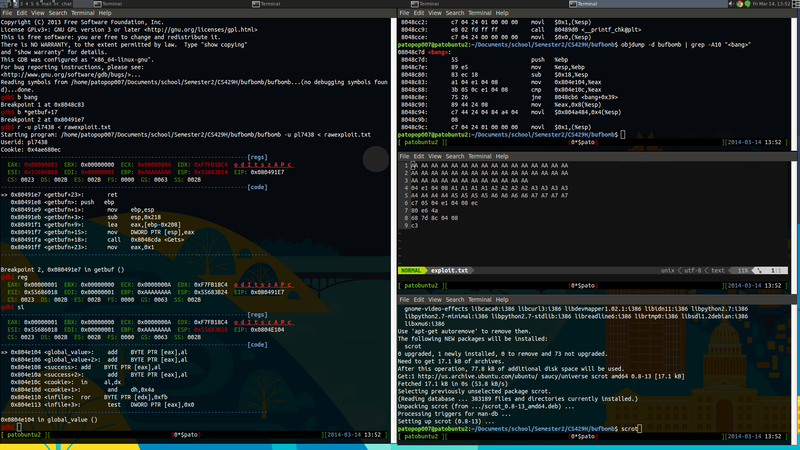 I am big fan of productivity and efficiency, so I decided I would try out a tiling window manager (as compared to conventional stacking managers), where all the windows are tiled across your screen; therefore, always using your entire screen real estate. Among the most common tiled window managers are i3, awesome, and xmonad. Although they all seem really cool and have their own advantages, I decided to go with awesome because it’s a dynamic tiling manager that can be configured using lua. 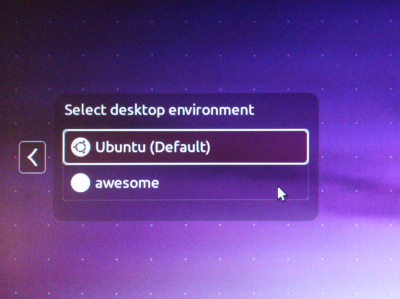 Once you’ve installed and modified the xsession file, getting into awesome is a matter of logging out and selecting awesome at the login screen. One of the awesome’s most awesome features (sorry, I had too :D) is the fact that it can customized through Lua. The default file is a great starting place and is very well commented, you should spend some time familiarizing yourself with it! I recommend you read the Awesome’s wiki’s page on starting out as it provides examples on how to do basic customization such as changing the names of your tags, changing your background, and creating basic widgets. When you run volumeicon, it adds a volume icon to your toolbar and configures your volume buttons to work. Thankfully xmodmap is just the tool that we need. Although it took me a couple of hours to really get used to the shortcuts (I never used the GUI key for anything before), it quickly became natural. I still get a bit confused with how the windows are switched, but I’m sure time will help. I am extremely satisfied with awesome and cannot wait to get better at it!